Update November 4, 2016: Martin was sentenced to 20 years to life in state prison, according to Vance’s office. A driver who killed a man and injured two others on a Manhattan sidewalk was convicted of murder, District Attorney Cy Vance announced today. 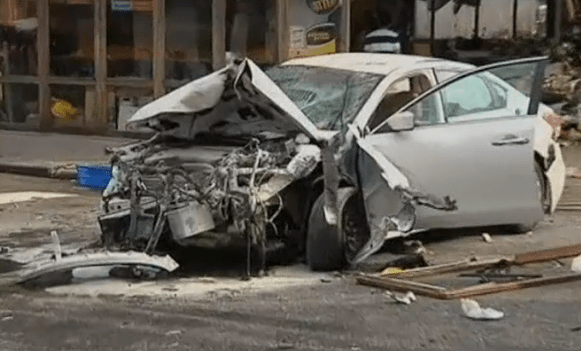 Shaun Martin, who reportedly had a history of drunk driving, was high on PCP and methamphetamine when he tore through the East Village in a Nissan sedan at speeds exceeding 50 miles per hour on the morning of June 19, 2013, according to a Vance press release. Martin drove onto the sidewalk at Second Avenue and Fourth Street, hitting a fire hydrant, a pay phone, a muni-meter, and a tree before striking Mohammed Akkas Ali and two other people who were working outside a corner grocery store. Ali, 62, died from injuries sustained in the crash. His two coworkers were “seriously injured,” according to Vance. A fourth victim, a man on a bike, was injured by crash debris. Vance charged Martin with second-degree murder and a number of other felonies, including two counts of aggravated vehicular homicide, two counts of assault, four counts of aggravated vehicular assault, one count of reckless endangerment, and two counts of driving while ability impaired. Judge Melissa Jackson convicted Martin of all charges this week, following a bench trial, Vance’s office said. Shaun Martin turned a vehicle into a murder weapon the morning he took the wheel while impaired by drugs. In doing so, he chose to endanger the lives of every New Yorker he encountered that day. 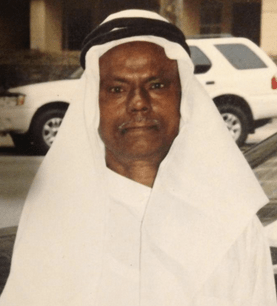 As proven at trial, he acted with depraved indifference to human life, directly causing the death of Mohammed Akkas Ali and seriously injuring two of his coworkers. He never touched the brakes as he hurtled through the East Village. I would like to thank the Judge for her careful deliberation of this case, and hope this conviction serves to deter those who would be so devoid of care for the lives of their fellow New Yorkers. This case is unusual in several ways. In New York City, motorists charged with murder — itself a rare occurrence — are generally accused of killing their victims intentionally, or causing a fatal crash while fleeing police. Neither condition applied here. Vance also filed serious charges for the injuries Martin inflicted upon the surviving victims, which is relatively uncommon in NYC — and Martin was convicted on all counts. Martin is scheduled to be sentenced in September. Good on Vance for getting this conviction. I’d be great to see local DAs get more aggressive prosecuting vehicular crimes. Credit where credit is due: thanks, DA Vance, for pursuing charges fitting the crime, and winning a conviction.